Perhaps you, like me, associate Edgar Allan Poe with the city of Baltimore (maybe it’s their professional football team, which I believe I’m contractually obligated to loathe since I grew up in Cleveland even though I am a lifelong Bills fan and no longer watch football). However, Dear Readers, EAP was a native of fair Boston, much as he hated the city (and now there’s a statue to commemorate him), and thus your Boston-based book blogger is amused to bring you his creepy “Annabel Lee,” just in time for Halloween. Ah! 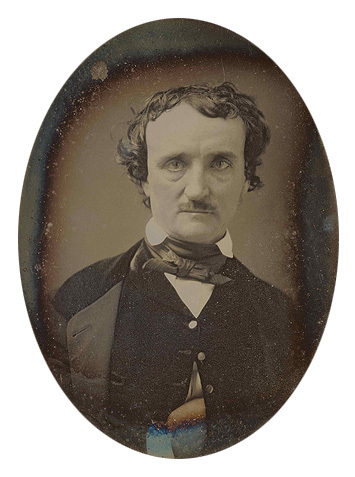 This is my favorite Poe. It never occurred to me that it was a bit creepy until you said so, maybe because the rest of his work is so much creepier. Or maybe I’ve just grown up. It struck me as pretty when I was young, but now it definitely has a weird vibe to it, I think. Maybe because now I know he married his 13-year-old cousin. I had not seen them but now I have! Those are delightful. I think after the Paris mittens it will be a while before I tackle anything like that, though. First of all, everyone should be a Buffalo Bills fan, so I’m glad you are one. (Insert shout out to the Buffalo Sabres here.) Second, this is a great and, yes, slightly creepy poem. I love the syllables of the name Annabel Lee.